PT Distinction V3 gives you the tools to build any type of training program in just a few minutes. 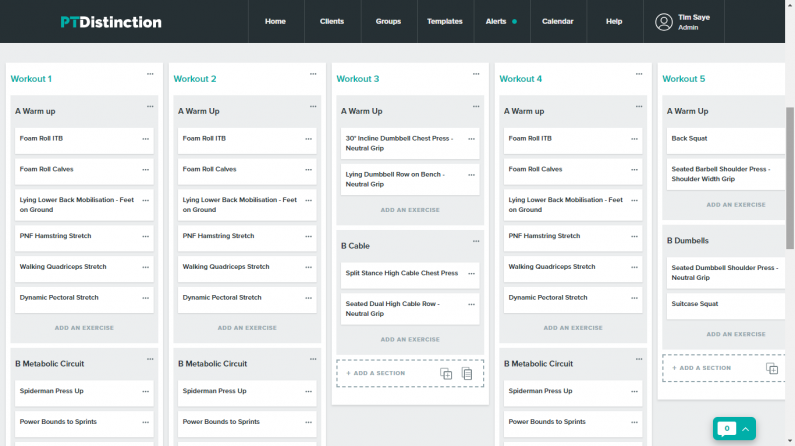 You can use the program/ workout builder to build as many workouts as you like at the same time and to periodize multiple phases of training. This video shows you some of the foundational elements in the PT Distinction V3 program builder and how to use them to create beautiful online training programs. If you want to build world class programs but spend more time with friends and family then check out this video which looks at some of the incredible time saving features that have been included in this amazing online training program builder.